Programs for People and Pets! History: The Animal Shelter Inc. of Sterling, MA (also referred to as the Sterling Shelter) EIN # 04-3236868 is a non-profit organization (formed in 1988 – incorporated in 1996) and no-kill animal shelter with no time or age restrictions. The shelter exists to provide humane sheltering and high quality medical care for stray, unwanted, abused and neglected animals and to find loving, lifelong homes for orphaned pets. Our staff is dedicated to finding good homes for adoptable pets and we continue to promote responsible pet ownership and to improve the quality of life for the animals and people in our community. The Shelter is supported entirely by donations from private individuals and through surrender and adoption fees. The Animal Shelter, Inc. does not receive support from the United Way or from federal, state or local governments. Our on-site veterinary clinic cares for over 3,000+ animals that come through our shelter yearly and provides a low/no cost spay/neuter, general wellness program assisting local animal control officers, shelters and breed rescues. Position Statement – A leader in our field, The Animal Shelter Inc. of Sterling is a happy, clean, well run, family friendly animal shelter with progressive programs that improves lives by raising the bar for animal care in our shelter and community. We are an established organization committed to placing animals in caring homes through innovative programs and placement services. At the Animal Shelter Inc. of Sterling we share a core belief that we will only help animals by working proactively and compassionately with people. Reflected in all of our programs and services is our belief that people and animals are inherently good. We strive to create a judgment-free and caring environment for all community members seeking our services, whether they are surrendering a pet, adopting or utilizing our low-cost services. This philosophy is shared with all employees and volunteers. We have a streamlined adoption process and have a more positive way of connecting people and animals. There are no lengthy applications and screening processes. Instead, we want to engage in conversation with prospective adopters. If we start from a perspective that people are coming to us with the best intentions, we will have a much better success rate of finding life-long matches. Both the Shelter and On-site Low Cost Spay/Neuter Clinic! Pediatric Spay/Neuter Program – Established February, 1999 – Our shelter has maintained a 100% compliance rate on spay/neuter of all animals before they leave the shelter. This includes puppies and kittens as young as 8 weeks UNLESS there is a MEDICAL necessity that would cause fatal complications or risk the pet’s life. 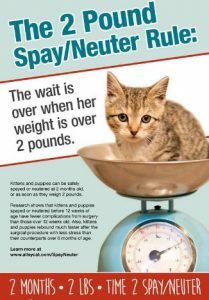 Early age spay / neuter is the surgical sterilization of companion animals prior to the conventional age of 6 months. For shelters it can mean 100% sterilization compliance rates, fewer returned animals, and improved staff morale. 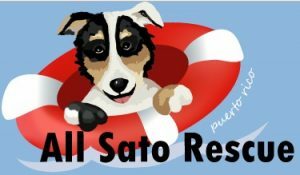 All Sato Rescue Program – Established May 1999 – a joint life-saving venture with animal rescues of Puerto Rico. Hundreds of homeless, neglected animals are rescued, rehabilitated and flown to our shelter each year, where they find loving, lifelong homes. These dogs known as “Satos” (mixed breed street dogs) are spayed or neutered, provided any necessary vet care and found loving homes! To date our shelter has rescued and re-homed thousands of these amazing dogs/puppies. Seniors 4 Seniors – Established October 2000 – Companion animals are essential to keeping people healthy, vibrant and to reducing blood pressure and stress. 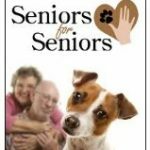 Often times older people need or want animals to give them love and companionship throughout their golden years. Pets can be expensive if one is on disability, Social Security or limited income, in response our shelter has created a Seniors for Seniors program. The shelter waives the adoption fee of any qualifying animal at our shelter 5+ years for an adopter 55 years or older. All pets are spayed / neutered and provided all medical care before adoption. The average cost of this service is over $700. The adopter is taking home a new companion and saving the initial cost of any medical care and adoption fees. This program is a win/win situation for both the adopter and the pet. Transport Programs – Homebound Hounds Program – Established July 2000 – A Death Row Puppy Rescue Mission -Rescuing and re-homing puppies/dogs from over a dozen high kill shelters, animal control facilities and pounds in rural Virginia – destined to die in the gas chambers. Here at our shelter, they are spayed or neutered and provided any needed vet care and found loving homes! We have rescued and re-homed thousands of dogs and puppies through this program working closely with the Southside SPCA in Meherrin VA. Tennessee Rescue – Established Summer 2006 – this same program was launched with shelters/rescues in rural TN through Companion Pet Rescue and Transport, several thousand dogs and puppies have been rescued on this program. Our shelter has added several additional shelters/rescues on the East coast all the way to Texas and are constantly partnering with shelters who are overwhelmed and full and sadly having to euthanize due to space. We have about a dozen groups we work with on a regular basis as of 2019! Rescue Group Assistance – Established 2003 – our shelter clinic provides low cost spay/neuter and medical care for several dozen N.E. Animal organizations that do not have funds or veterinary care available to them. This program allows organizations to adopt out pets maintaining a 100% compliance rate on spay/neuter PRIOR to adoption. To date our clinic has performed thousands of surgeries/treatments and medical procedures for several dozen groups. Additionally, our shelter collects and donates thousands of pounds of pet food and supplies each month for animal welfare organizations in need and less fortunate than ours. Worldwide Outreach Program – Established September 2003 – The staff, vets and volunteers at our shelter have partnered with rescue organizations in the Caribbean islands to spay/neuter and provide general veterinary care for the animals of their community at NO COST. In the Caribbean there is no money or governmental support for animals. Spay/Neuter is our most important focus as well as education, proper nutrition, and ID collars for the pets. 100% of the trip, supplies and materials are donated or fundraised specifically for these trips. Saint Lucia, Puerto Rico, and the Galapagos Islands have all received our assistance. Merit “Bone Badge” Program – EFFECTIVE JANUARY 2017 – THIS PROGRAM IS NOT AVAILABLE DUE TO THE GIRL SCOUTS INSURANCE RIDER REQUIREMENTS – Established September 2003 – The “Bone Badge” Girl Scout Pet Care patch is offered. The girls have a minimum number of lessons in kindness to perform in order to earn their patch. The program and all the lessons are age appropriate for Daisies, Brownies, Juniors, and Cadettes/Seniors. The girls learn how to be safe around animals, how to properly care for a pet, importance of having proper identification on pets, and the importance of medical care. We have educated hundreds of girls through this program. Kids Helping Kritters Humane Education – Established September 2003 – a formal program for kids that are to young to help IN our shelter. The kids have the ability to tour our shelter, learn about community involvement and the importance of volunteering. Children get a behind the scenes tour of the shelter and are educated on a variety of animal welfare topics including basic animal care, the responsibility of owning a pet, how to be safe around pets, importance of spaying and neutering, and what THEY can do to help the pets in our shelter and community. Disaster Rescue Assistance – Established August 2004 – disaster animal rescue trained shelter staff and veterinarians travel to natural and man-made disasters to assist animals in need. Rescue, recovery and rehabilitation are the main focus. 100% of the trips are funded through donations. Our shelter is proud to have assisted after Hurricane Charley, Hurricane Katrina and Hurricane Sandy. Veterinary Training Program – Established January 2005 – Updated program in 2012 – Tufts University 4th year vet students spend one week rotations in our on-site shelter veterinary clinic providing them hands on surgical experience. Over 60 students rotate through this program each year where they perform several dozen spays/neuters and other miscellaneous surgical procedures they would never be permitted to do in a private practice vet hospital. We have the opportunity to educate the students about pet overpopulation problems, pediatric spay/neuter procedures and protocols (practiced in few veterinary hospitals/shelters throughout all of the United States), shelter medicine and herd health/management. New graduates will leave school with a sense of accomplishment and passion and we hope “give back” to the homeless animals in their community in the future. Many of our externs have gone on to specialize and focus in shelter medicine and are currently working with shelters nationally! In addition, many of the students have gone on to develop official Shelter Medicine programs in their own Colleges which proves that this program is extremely beneficial. 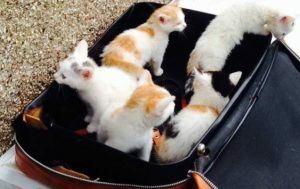 Kitty Convoy– Established Spring 2006 – an intra-state kitten (and cat) relocation program assisting overburdened euthanasia shelters in Massachusetts. Spring through fall (which is high volume kitten season for shelters in New England) – our shelter accepts felines from shelters that are filled to capacity and that face euthanasia for lack of space. Our shelter absorbs 100% of the costs to spay/neuter, test, vaccinate and care for these felines until they are adopted. 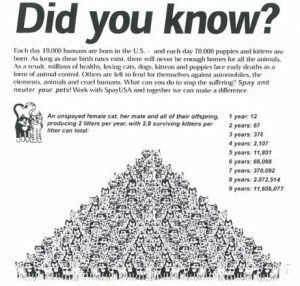 Each year, we accepted several HUNDRED felines EACH YEAR through this program that would otherwise be euthanized through no fault of their own. Safe Shelter Surviving Pet Care Program – Established 2012 – For pet owners that are no longer able to care for their pets or if the pets should outlive the owner, the owner becomes ill and can no longer care for the pets, we will immediately finalize arrangements with the pet owners representative, family member, or executor to have their pets transported to our facilities for care, housing and medical treatment – where the pet will safely reside with us until adopted. This program is available to pets regardless of where they reside. For information email us. We’re YOUR Local Animal Shelter… There’s a place in your community where the hungry are fed, the homeless are sheltered, and the abandoned are given care. It’s your local animal shelter, right here in Sterling, MA. Where we provide comfort and care for our community’s unwanted animals. We offer many other services too, for pets and their people. To do all this, we rely on the support of people like you. Here are a few ways you can help animals, especially those in our care…Give a little bit… Donate food or towels or old blankets and other needed supplies to us. Lend a hand and become a volunteer. Find that special someone here waiting for a home – ADOPT! Help spread the word about our program. Be a responsible pet owner. Vote for the animals. Support legislation that protects animals. Report animal cruelty. Teach your children respect for animals.